Companies that take advantage of new, cutting edge roofing technology will be at an advantage as they continue to increase efficiency on the job site, as well as within their organizations through better business management processes. Drones have taken the world by storm and have become a popular toy for all ages. Their role as a tool for roofing businesses, however, is just starting to emerge. Drones with 4K cameras allow sales teams to take detailed pictures of problem spots and identify safety hazards without having an inspector climb onto the roof, immediately reducing risk before a job begins. These images can be shown to customers to help them visually understand where repairs are needed, as well as to your crew before a job begins to make work more efficient. As drones become more advanced, their potential to be a useful tool increases, and it may be time to evaluate their usefulness to your own company. Safety is always a top concern for onsite crews, and steps can and should always be taken to reduce risk on a job. While protocols and careful management can reduce the potential for mistakes, accidents do happen. Companies like Redpoint Positioning are integrating GPS into safety equipment so that they can mark hazards by proximity and warn crew members when they may be approaching a dangerous area. Other companies are putting sensors into safety vests that can detect body temperature and heart rate to tell workers when they’re starting to overheat. Research is also being done to put airbags into the neck of safety vests that expand when a sensor detects a sudden vertical drop. Using computers and sensors built in to equipment has the potential to significantly reduce the risk on a jobsite. The demand by homeowners for environmental efficiency is becoming increasingly important and its effects on the roofing industry are apparent, especially for material manufacturers. Many shingle manufacturers are creating new eco-friendly products that may appeal to homeowners financially as well as the added home benefit of reducing their carbon footprint. 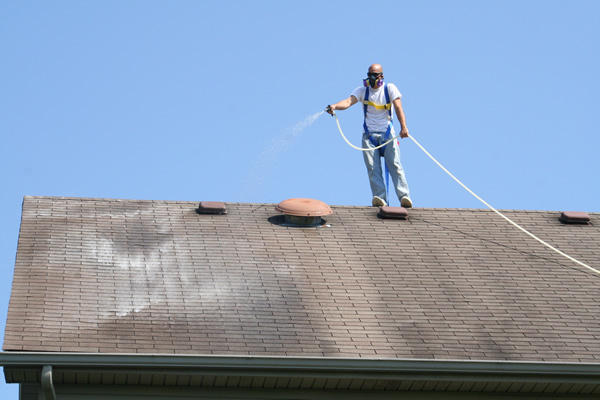 Reflective granules allow for shingles to reflect more of the sun’s heat, lowering air conditioning costs in the summer. Solar panels can be inserted into roofs, but usually do not offer enough weather protection to be used as a significant building material. Building applied photovoltaics are solar panels built for roofing. They are tough enough to withstand severe weather, are tileable for easy application, and come in different types and colors for both commercial and residential uses. Work still needs to be done before photovoltaic systems will be able to completely replace conventional roofing systems, but as time goes on their potential as a green and financially viable alternative to regular shingles only rises. 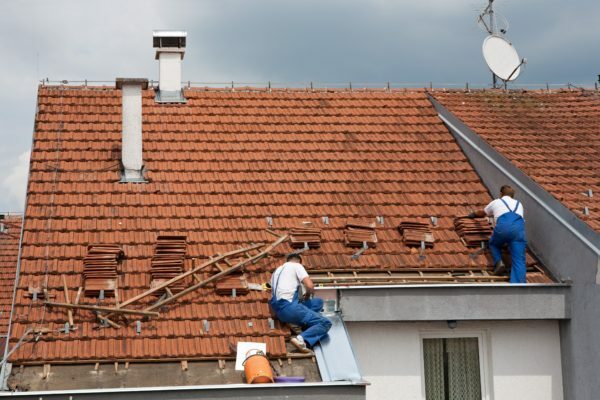 Offering homeowners eco-friendly options during roof replacement or repair can help businesses increase market potential compared to other companies who do not offer specialty services. Companies are constantly bringing in new leads and completing different jobs, often making it a headache to keep track of the necessary information for each customer. Software for roofing companies with Customer Relationship Management (CRM) capabilities streamline this process. Newer programs are capable of tracking traditional information such as address and contact information, but also allow for searchable tags like geographical location, job timeline, or communication history. Integration with programs such as Smart Documents and supplier pricing tools allows you to bring your office with you when meeting a customer. All of your necessary paperwork is always with you, and estimates can be constructed and altered for customers in just minutes. The ability to store customer information in a customized database greatly increases organization and ensures the customer is well taken care of. Managing a roofing company is difficult; you have to keep track of leads and salesmen, scheduling crews, ordering materials, collecting payment, and countless other important details. Using an Enterprise Resource Planning (ERP) software to combine all of these systems into a single dashboard will make this process substantially more efficient. Advanced ERP’s will allow you to track a job from lead to completion while offering tools to aid every step along the way. From cloud based documentation to online ordering tools to Quickbooks integration, ERP’s offer limitless utility to streamline the entire job process. New roofing technologies are constantly being invented and are changing the industry all the time. Keep an eye out for new innovative products, tools, and softwares that can be used to help your company grow.